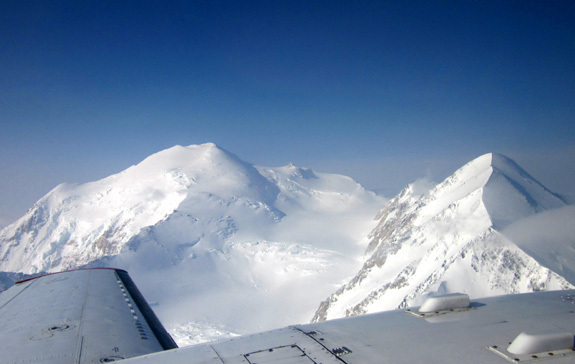 an issue that many Alaskans were truly passionate about." 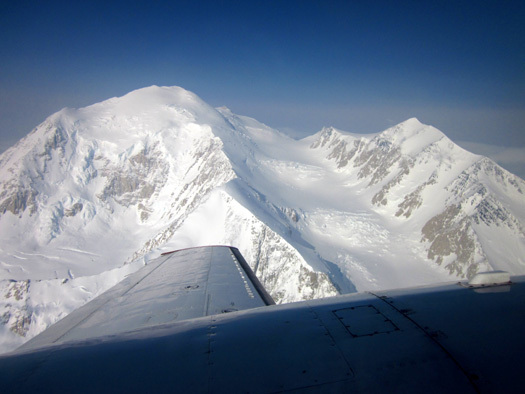 ~ LiveScience.com web article re: changing "Mt. 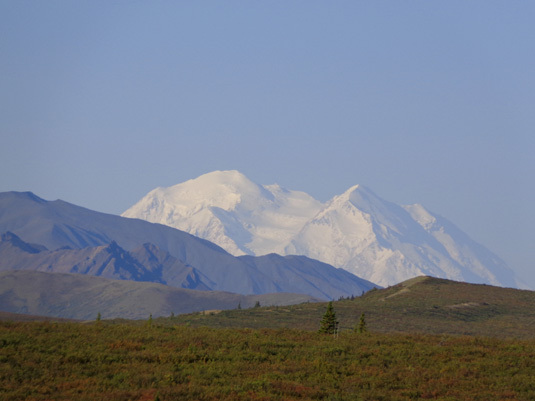 McKinley" back to "Denali"
Native and transplanted Alaskans aren't the only ones who call North America's highest peak "Denali." 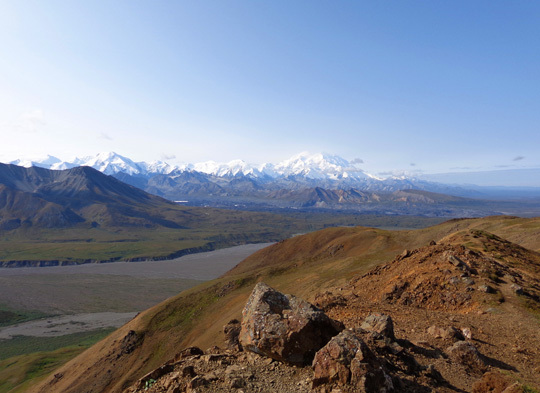 In all my entries about Denali National Park in 2012 and this summer I believe I've used "Denali" regarding the mountain and not "McKinley." 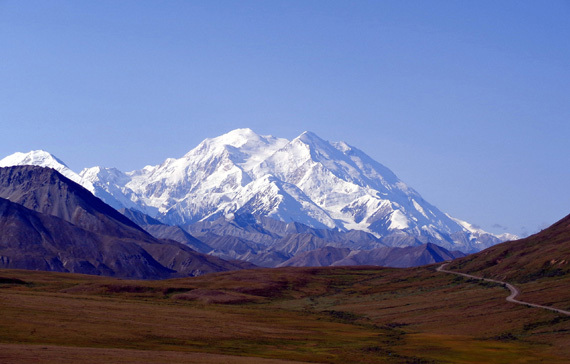 Although I was born in Ohio and spent my first 25 years there, I've always thought it was sacrilege to name this magnificent mountain after a person who never once set foot in the state of Alaska. If politicians had to rename it for a white person who had something significant to do with the state, it would have made much more sense to name it after Seward than McKinley. Even that would have been controversial, though. It shows absolutely no respect for those who settled the area many thousands of years before Americans, Europeans, and Russians decided they wanted to live there, too. I think it makes the most sense -- and is the most respectful -- to leave place names as close to the original as possible. 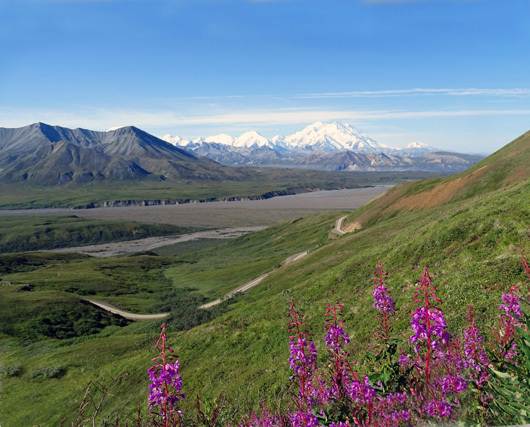 Native Alaskans used names that identified places for their locations or special characteristics i.e., descriptive monikers, not in recognition of people. 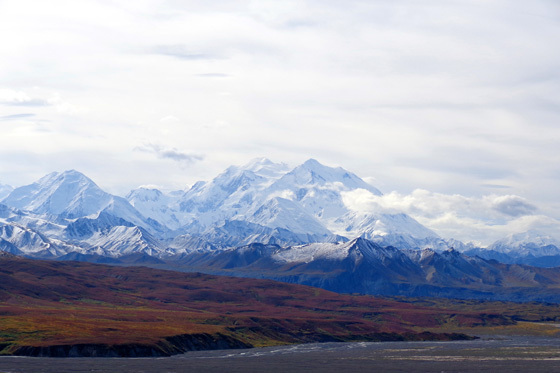 So I was really, really happy to read today that the name of The High One has been officially returned to "Denali." That's not even the original Athabascan spelling, but at least it's in the same spirit as the original name. 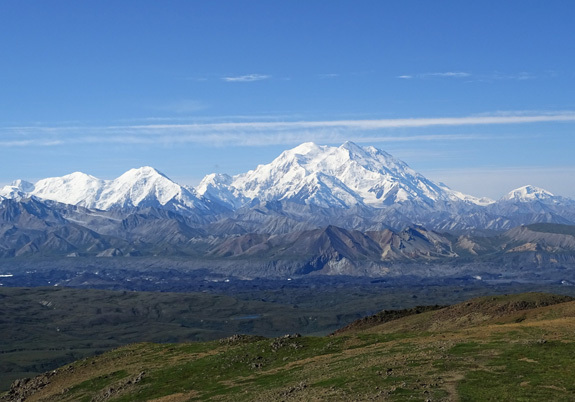 Denali mesmerizes me when I'm in the national park or trying to view it from Anchorage or the Parks Highway on a clear day. It dominates the horizon unless hidden by clouds, which is about 70% of the time. We were fortunate to see it so often in 2012. I'm putting some of my best photos of the mountain from our four visits to the park in this entry. My very favorite picture continues to be the one I'm using as this year's page header. I've had that on my computer screen for three years (four, at the time I'm finally uploading this entry). 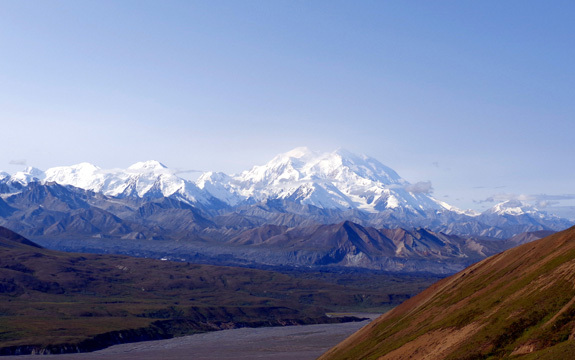 My only regret is that I didn't visit the park and try to climb Denali when I was much younger. 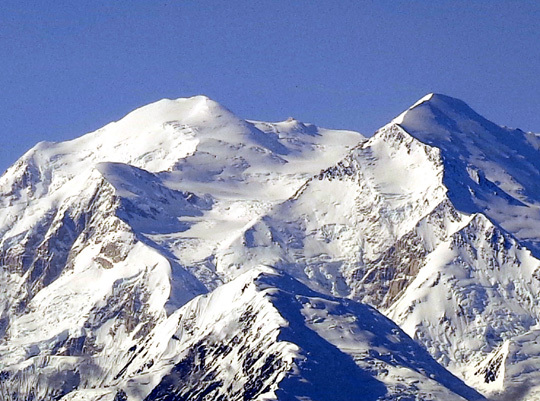 Imagine negotiating these beautiful ridges in the month of May when there is even more snow . . .
<sigh> I'm just too old to do it now. Here's the link to the article from the Alaska Dispatch News that I read today and have copied below. The article quoted at the top of the page appeared on September 1 and is also an interesting read so I've copied it, too. 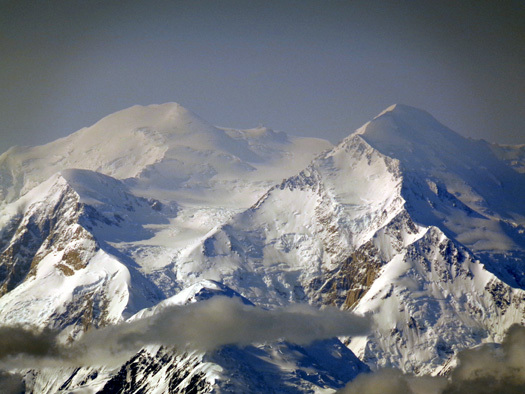 It�s official: Denali is now the mountain formerly known as Mount McKinley. 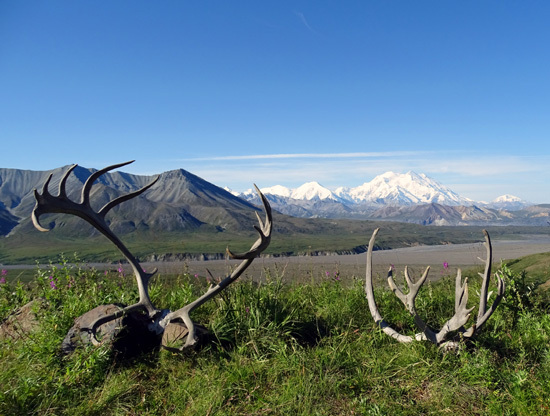 With the approval of President Barack Obama, Interior Secretary Sally Jewell has signed a �secretarial order� to officially change the name, the White House and Interior Department announced Sunday. The announcement comes roughly 24 hours before Obama touches down in Anchorage for a whirlwind tour of Alaska. 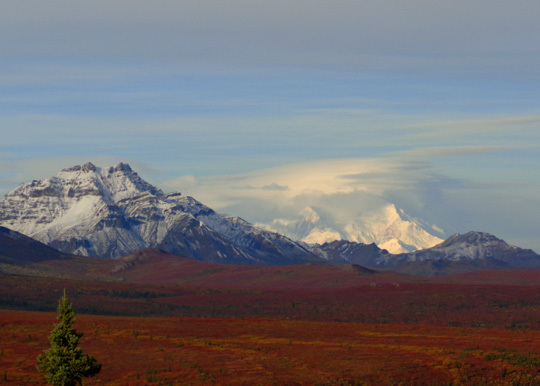 Denali is the Koyukon Athabascan name for the mountain. 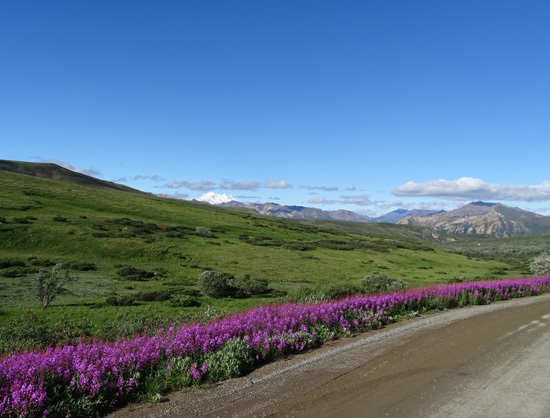 Jewell�s authority stems from a 1947 federal law that allows her to make changes to geographic names through the U.S. Board on Geographic Names, according to the department. 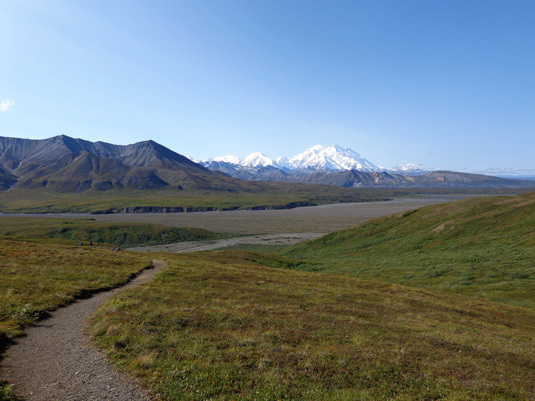 The National Park Service stirred up interest earlier this year when they registered no objection to a name change in a congressional hearing. 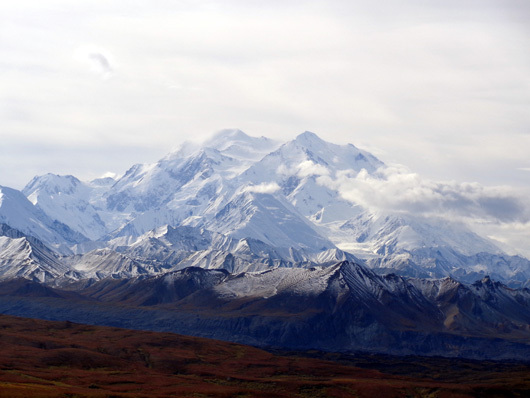 �I think for people like myself that have known the mountain as Denali for years and certainly for Alaskans, it's something that's been a long time coming,� Jewell told Alaska Dispatch News Sunday. �It's something (former Alaska Gov. Jay Hammond) pushed for back in 1975, and because of an effort to stop it in legislation that has not actually gone anywhere in the last 40 years, the Board of Geographic Names did not take it up,� Jewell said. As Interior Secretary she has authority to make a unilateral decision after a �reasonable time has passed,� Jewell said. �And I think any of us would think that think that 40 years is an unreasonable amount of time. So we're delighted to make the name change now and frankly I'm delighted that President Obama has encouraged the name change consistent with his trip,� Jewell said. 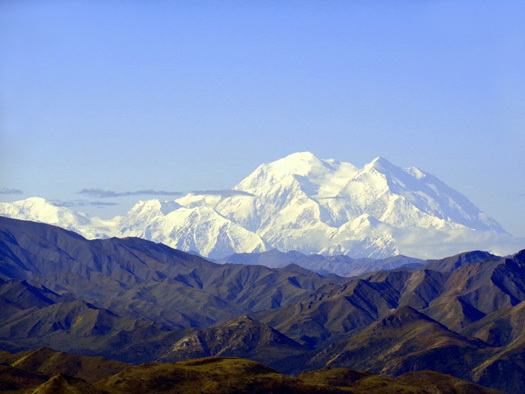 Every year, the same story plays out in Washington, DC: Alaska legislators file a bill to change the name from Mount McKinley to Denali, and every year, someone in the Ohio congressional delegation -- the home state of the 25th President William McKinley -- files legislation to block a name change. Jewell said the �overwhelming support for many years from the citizens of Alaska is more robust than anything than we have heard from the citizens of Ohio,� and that the filing the same legislation year after year has not been accompanied by any �grassroots support� in Ohio. 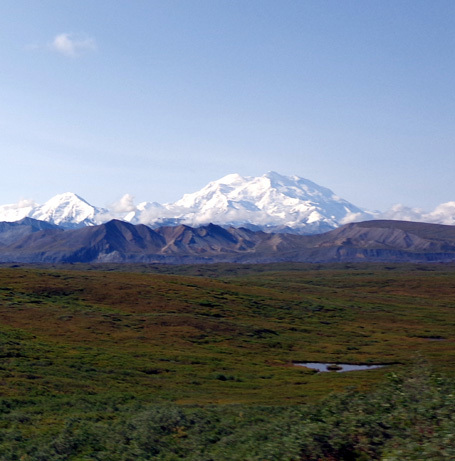 �I think most of us have always called it Denali. I know that's true in the climbing community and I suspect it has been true in Alaska for a very long time. So it'll just be great to formalize that with our friends at the U.S. Geological Survey and the board of geographic names,� Jewell said. 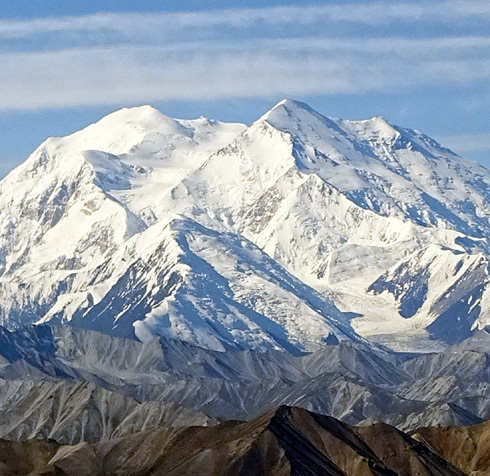 North America's tallest mountain peak just got a new name. 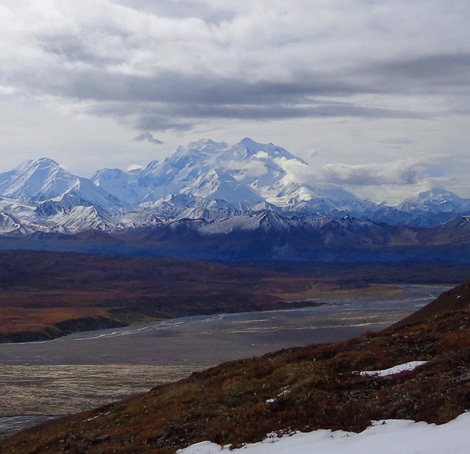 Or, more accurately, the mountain formerly known as Mount McKinley just got its old name back. 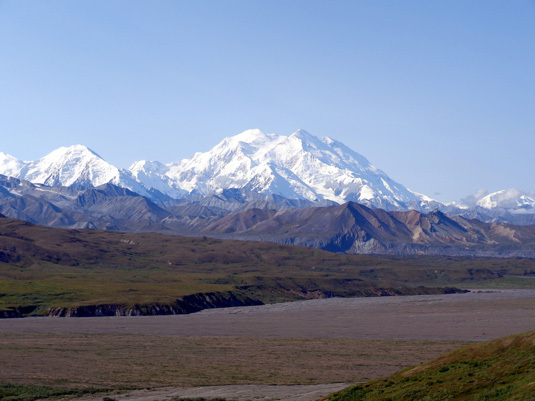 On Sunday (Aug. 30), during a trip to Alaska, President Obama said the name of the state's 20,237-foot (6,168 meters) mountain would officially be changed to Denali, which is what many Alaskans have called the peak all along. 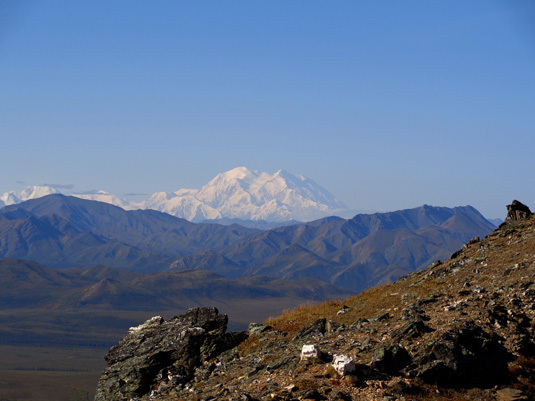 The word "Denali" is derived from Koyukon, one of the 11 Athabascan languages traditionally spoken in Alaska. 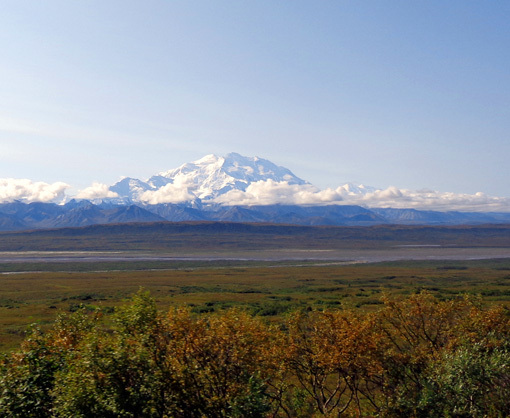 In the Koyukon language, the word for the mountain is "Deenaalee," and at least five other Athabascan languages have similar names for the Alaska Range's highest peak (though these names are pronounced differently), said James Kari, professor emeritus of linguistics at University of Alaska Fairbanks and a specialist in Athabascan languages. 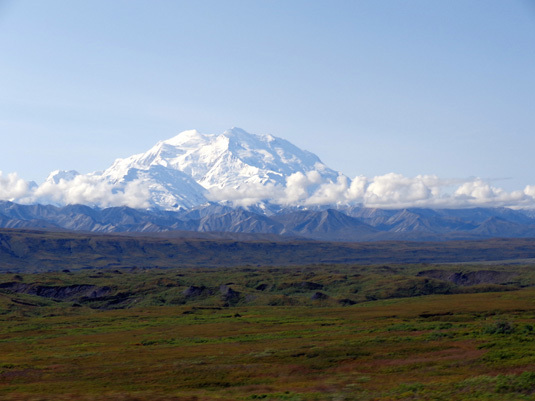 The renaming of Denali is a sign that Alaskans continue to claim this system as their own, said Kari, who added that Alaskans are also preserving native names in new ways. 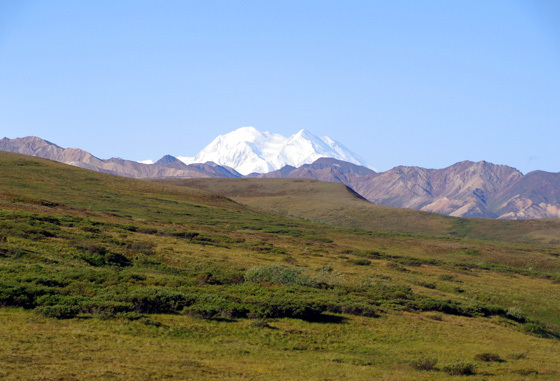 For example, the Anchorage convention hall in which President Obama announced Denali's name change is called the Dena'ina Center and is named for an Athabascan ethno-linguistic group from the Anchorage area. The five largest rooms in the building aren't named for former presidents or anyone else � they're named for Dena'ina villages.